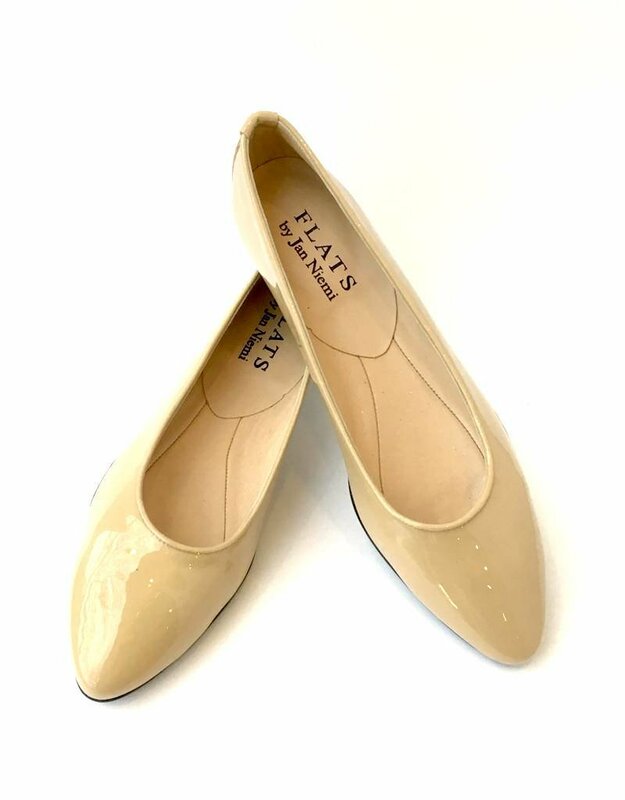 Our New Flats are designed with a flexible sole, small heel, and require little to no breaking in. Handcrafted in Italy with the finest Italian leathers. 100% leather soles and lining. Patent Leather Ballerina with point toe.